Bhairon Ghati is located in Uttarkashi district of Uttarakhand state. Bhairon Ghati is situated on the banks of the confluence of the Jadh Ganga and the Bhagirathi river. Gangotri is about 6 km away from Bhairon Ghati. There is a famous Bhairav Nath Ji temple in Bhairon Ghati, surrounded by dense forests. 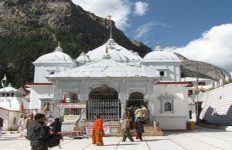 It is believed that after visiting the Gangotri temple, it is necessary to visit this temple. Bhairav is considered as the gan of Lord Shiva. It is believed that Lord Shiva gave appointed to Bhairav Nath to protect this place, hence this place is known as Bhairon Ghati. This Ghati is the center of attraction. Bhairon Ghati is located at a distance of about 6 km from Gangotri.